The Polisario, which announced on Sunday (July 16) the arrest of 19 Moroccans it falsely accused of drug trafficking, found itself in a very awkward situation not only with respect to Algeria but also the MINURSO and the Sahrawi tribe of the arrested persons. 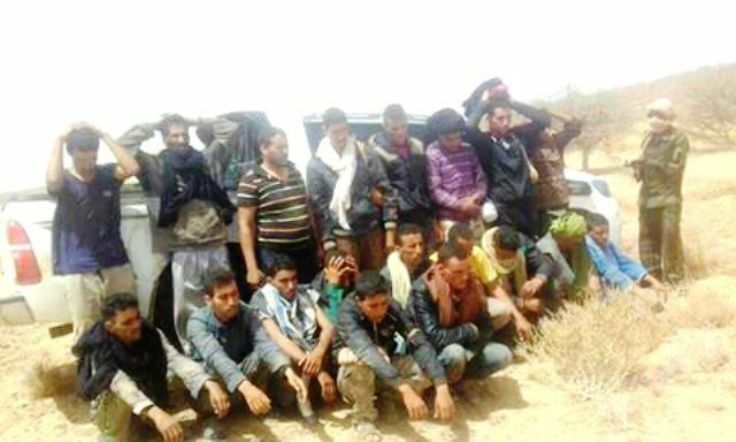 Contrary to the allegations of the separatist front, which accused the arrested Moroccans of being used as mules by an alleged drug trafficking network, it turned out that the 19 Sahrawis from the Moroccan southern provinces had lost their way in the desert. According to their families, the group was looking for a fragment of a meteorite fallen near the Algerian border, not far from the Moroccan defense wall. The families accuse the Polisario of having orchestrated this case to tarnish Morocco’s image. The 19 young people from the Aït Brahim tribe, settled in the Taghjijt Commune in the province of Guelmim, have nothing to do with drug trafficking and do not serve as mules, as claimed by the Polisario. The Moroccans were looking for fragments of a meteorite when they were arrested by armed militias of the Polisario in a locality in the demilitarized zone. The Polisario leaders found themselves in a problematic situation after Algerian authorities refused to allow the presence of the 19 Moroccan nationals on Algerian soil and after the UN mission in the Sahara “MINURSO” declined to intervene in this case that concerns civilians and that is unrelated to its ceasefire monitoring mission in Western Sahara. The members of the Aït Brahim tribe, who have relatives detained in the Polisario-run Tindouf camps and who have the support of the other Sahrawi tribes in Morocco and in Tindouf, were angry at the arrest of their relatives and at their labeling “drug traffickers” by the Polisario. At present, the Polisario does not know what to do with the nineteen young Moroccans. According to the Futuro Sahara website, which is close to the Front, they were supposed to appear Monday or Tuesday before a “tribunal” in Mijek, a Polisario-controlled locality, beyond the Moroccan defense wall.